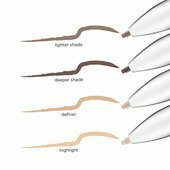 A 4-in-1 defining & highlighting brow pencil to contour & carve out your perfect brow. 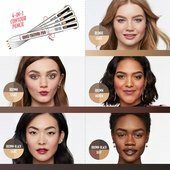 Define & highlight your brows with Benefit’s NEW brow contour pro 4-in-1 defining & highlighting brow pencil. 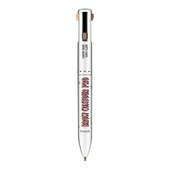 This multi-tasking brow pencil features a lighter brow shade and deeper brow shade to give your brows depth & dimension, plus an edge definer and arch highlighter to clean & shape your brows. Turn shapeless, flat brows into defined, contoured brows in an instant! Available in 5 shades for a wide range of hair colors and skin tones!